American Sniper is a new war drama directed by the legendary Clint Eastwood and based on the same named autobiography by Chris Kyle, the deadliest sniper in the history of the U.S. military. Academy Award nominee Bradley Cooper (Silver Linings Playbook, American Hustle) stars in the title role and Sienna Miller portrays his wife in the film. I was really looking forward to this movie for a long time, especially after hearing some very positive reviews from critics. I became even more excited last week when it was announced that the film received six Academy Award nominations including: Best Motion Picture, Writing, Editing, Sound Mixing, Sound Editing and another nomination for Bradley Cooper for Best Performance by an Actor in a Leading Role. In the end, American Sniper simply blew me away and I expect that it will reel in a handful of those prestigious awards. This true story centers around U.S. Navy SEAL Chris Kyle (Bradley Cooper) joining the military in his thirties to become a sniper and serve his country in the war against terrorism. Following the September 11 attacks, Kyle is deployed to Iraq in his first of eventually four tours of service. His incredible pinpoint accuracy saves countless lives and Kyle soon becomes known as “The Legend”. However, he struggles with the reality of war and his post-traumatic stress becomes increasingly challenging each time he returns home to his beloved wife and children. American Sniper was truly a moving experience as a film. The scenes of war were all incredibly filmed and felt extremely, brutally realistic. There are more than a few moments in this movie that are truly breathtaking. Furthermore, Bradley Cooper is absolutely blistering in his sensational lead performance; this is easily the best acting that I have seen out of him. He did an amazing job of humanizing this extraordinary character and portraying the unparalleled decisions that he was forced to make in war. Admittedly, I haven't seen all of the films nominated for best performance by an actor in a leading role, but I definitely think it would be well deserved if Bradley Cooper goes home with that honor. 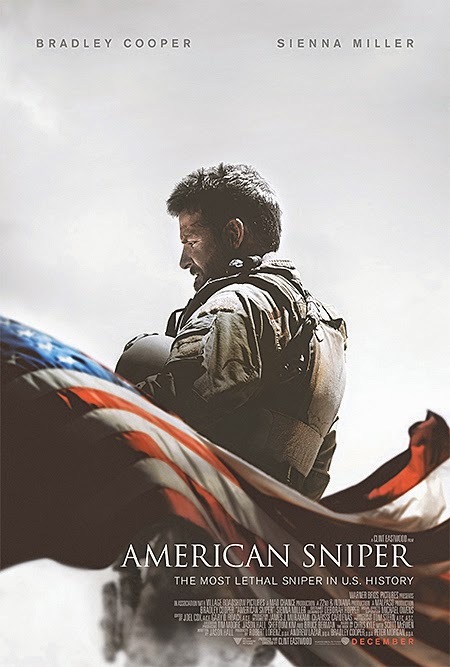 American Sniper certainly isn't an easy movie to watch, but it is still a phenomenal film nonetheless. With a heart stopping ending that left me speechless, this is easily one of the greatest war movies I have ever seen.